In the month of March 2017 Staat van Beleg could list 772 human rights violations (and 201 reports/analyses). 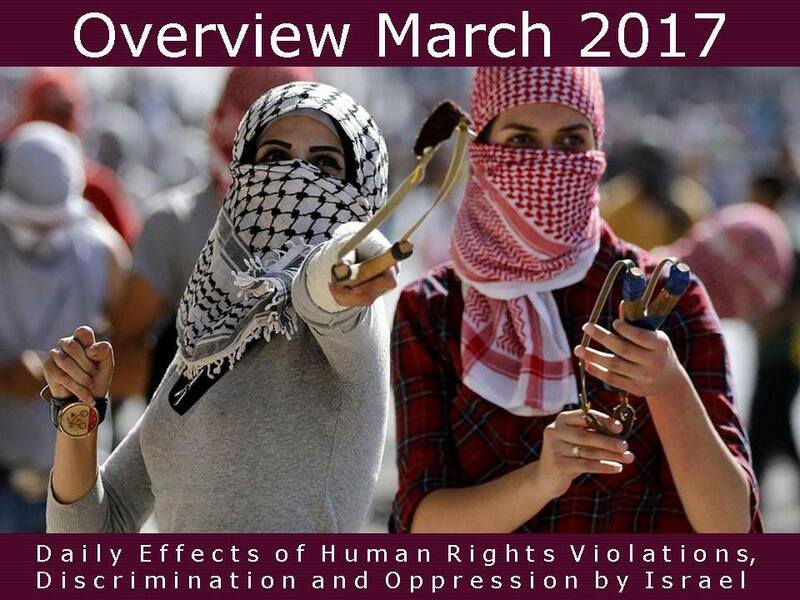 Every month we are trying to highlight another aspect of the occupation of Palestine. This month we would like to commemorate International Women’s Day in Palestine and the struggle of Palestinian women over the years. March 8 was International Women’s Day. In Palestine too. Everywhere in the world events were organised. In Palestine too. Only with the difference that these events could not take place because the Israeli authorities prevented it. The director of the Association of Women for Equality and Democracy (AWED) Abu Zohour Mihaela, who organized an event, said occupation police forces raided the hotel where the event would take place shortly before it would start and handed a municipal order to cancel the event. Dozens of women have been prevented from reaching the event location in occupied East Jerusalem. The aim of the event was simply to reflect on International Women’s Day, to honor the women of Jerusalem with recreational and cultural activities and to put a smile on their faces. At the same time, hundreds of women in Gaza took to the streets and headed to the UN office in Gaza, calling for the international body to put pressure on the Israeli occupation to stop its violations against Palestinian women. There are currently 56 Palestinian women held in Israeli jails, 12 of them under the age of 18. These girls and women suffering harsh treatment and are being denied access to basic human rights such as heating, winter clothing, medical treatment and family visits. Women protesting the arrest and mistreatment of Palestinian youths. Jabalia camp, Gaza. 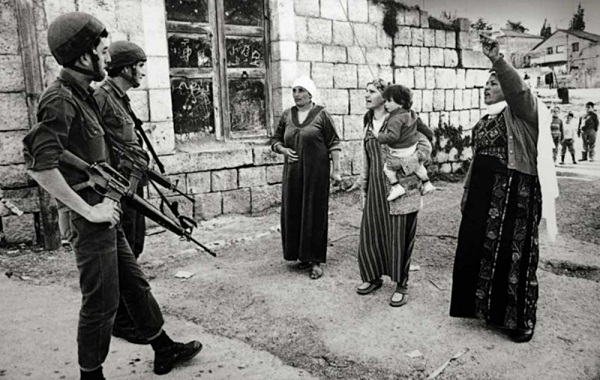 The struggle of Palestinian women has a long history. Already in the 1920s, women were protesting against the declaration of Balfour, who supported the Zionist colonization. In 1929 a women’s conference was held in Jerusalem which focused on the Palestinian women’s movement during the British Mandate in Palestine. After this, a delegation of 14 Palestinian women called to see the British High Commissioner for Palestine to protest against the Balfour declaration, the beating of demonstrators, the mistreatment of prisoners and the collective punishment of villages by the British authorities who ruled Palestine at the time. In the 30s, during the Arab-Palestinian uprising, it were the women who raised funds and then distributed food to prisoners. They also provided the male rebels of food, water and weapons. In 1948, Palestinian women fought against the Zionist armies. Shortly before the Nakba (the mass expulsion of the Palestinian people in 1948) women from Jaffa formed an organization called Zahrat al-Uqhuwan (Daisy) who provided medical services, food, water and ammunition to the Palestinian rebels. During the period 1948 -1968, women played an important key role in al-Ard, a resistance movement. This movement was eventually suppressed by the Israeli authorities. 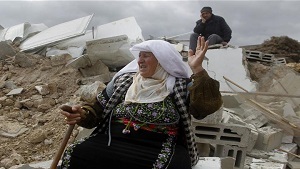 Since 1967 there have been countless occasions when women have fought for the Palestinian cause. When Israel closed Palestinian schools (a common occupation tactic) they organized underground schools in homes, churches and mosques. They organized child care so that women could venture outdoors. They encouraged other women to take part in protests and organize defense against raids carried out by Israeli soldiers and settlers. All in all, women were the backbone of the resistance. After many decades of struggle against injustice and oppression the sad reality is that resistance is more important than ever before but also more difficult, because the Israeli authorities immediately supress any semblance of resistance. More than ever, international pressure is needed to lift the Israeli occupation and it is high time that women ánd men show solidarity with the spent Palestinian people. There is also some positive news. Karma Nabulsi, a female Palestinian Oxford academic, won the 2017 Inspiring Leader award on March 29. She is a former PLO representative working at the United Nations and she is a patron of the Palestine Solidarity Campaign. Nabulsi is specialized in anti-colonial history and she recently directed ‘The Palestinian Revolution’, a digital teaching resource exploring Palestinian revolutionary thought and practice in the 50s, 60s and 70s. We congratulate Karma Nabulsi on winning the award.